For my final animation project for my Core Studio 4D class, we are being given free reign as classmates to create an animation about any subject of our choosing using any medium that we have learned. I originally planned to do a pixelated animation using the Unity 2D engine, but learning how to use the program would take too long and probably be too strenuous and unmanageable. 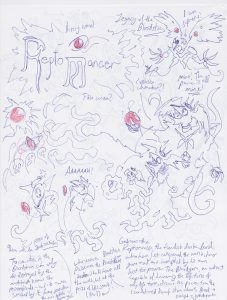 I have settled with creating a simple animation (probably using index cards or After Effects/ Photoshop) in the fantasy genre called “Reptomancer: Legacy of the Bloodstar”, which chronicles the tale of the rise and corruption of the Dark Reptomancer Gaboonis (tentative name) after his conquest of the world through his use of the magical artifact known as the Bloodstar, and the hero that has been sent to defeat him (who possesses the counter to the Bloodstar, known as the Moonblade). 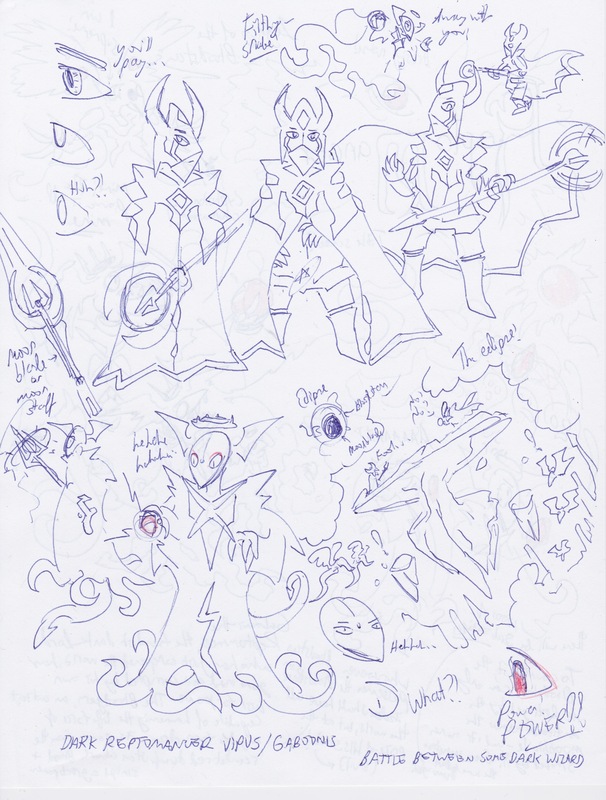 I might color the characters and make a simple world map for this animation, and create text that will fade on the screen chronicling the tale of the Reptomancer when the animation is fully realized as a video. I want to make this animation my absolute best work of my animation class, so I will be adding MANY more frames to this animation in comparison to my past work. 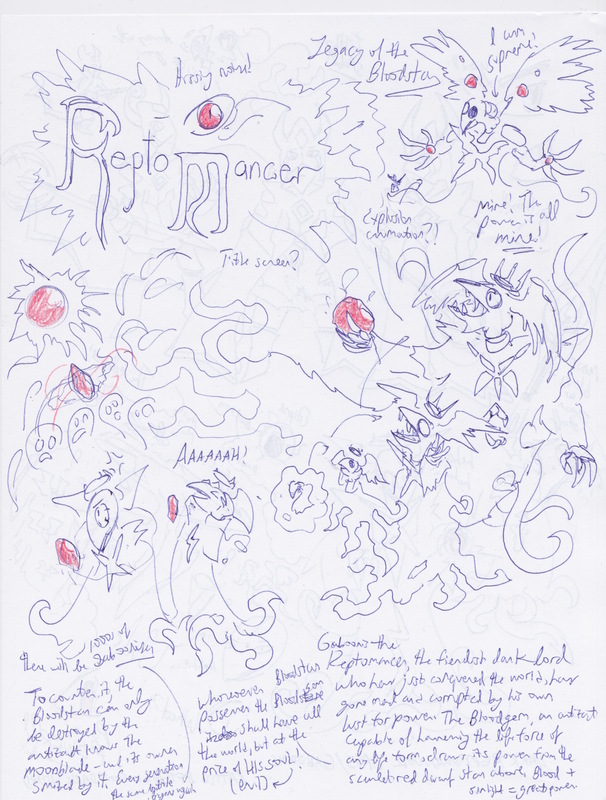 One of my more prominent ideas for this animation is that the Reptomancer at one point transforms into a hideous beast upon using the Bloodstar prior to an eclipse in the sky that will reduce his power, and allow the hero to use the Moonblade to its fullest power. 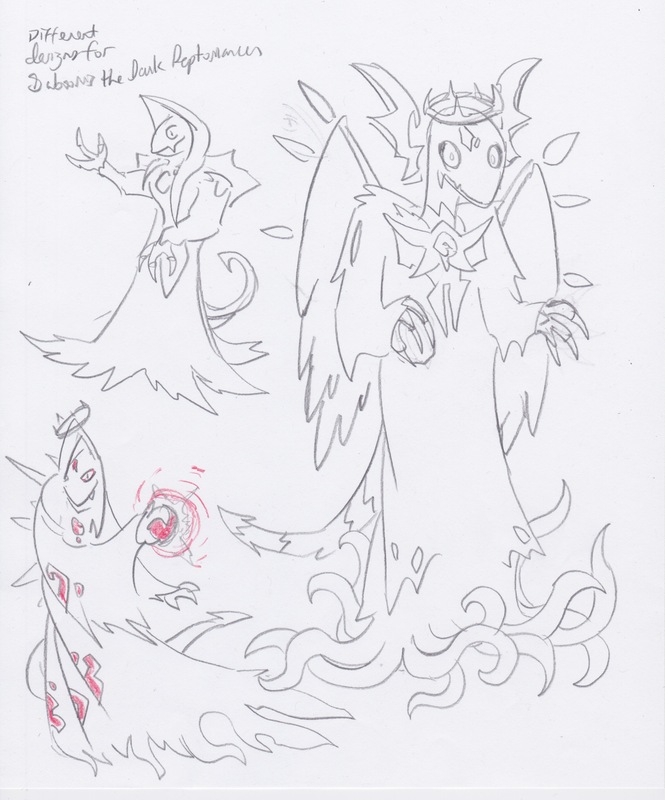 The transformation of the Reptomancer will be a morph animation. The animation will cut to the eclipse numerous time getting closer and closer to actually happening, increasing dramatic tension. 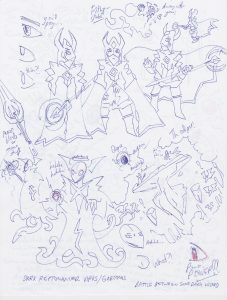 My initial sketches for the animation are posted above.